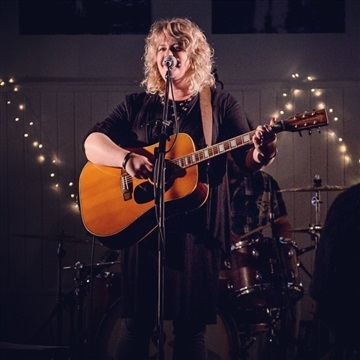 Recorded live before an audience at New Hall, Point Lonsdale, Australia in October 2018 with Sound Engineer, Nick Huggins at the helm, I'd Like To Think is the first single release off Andrea Robertson's album Andrea Robertson Live At New Hall (official release date 17 May 2019). With her trademark blend of blues, roots, alt-country and folk shining through, Andrea along with her stellar backing band capture her own brand of Americana with I'd Like To Think, a song penned around the theme of respecting others, and how a little kindness can go a mighty long way. Music and Lyrics by Andrea Robertson. Andrea Robertson - lead vocals and acoustic guitar. Heath Robertson - lead/electric guitar. Tim Waters - double bass. Recorded live by Nick Huggins (A Pocket Full of Stones Studio) at New Hall, Point Lonsdale, Australia.